The Russian Helicopters company, part of the Rostec state corporation, is taking part in the Vibrant Gujarat Global Summit 2017 regional investment forum in India's Gujarat state, the company said Tuesday. MOSCOW (Sputnik) — The eighth biennial Vibrant Gujarat forum is taking place in Gujarat's capital Gandhinagar on January 10-13 and is due to kick off in several hours. This year's event focuses on sustainable economic and social development. It is the largest regional forum in India, in which business leaders, government representatives and experts from India and all over the world take part. The forum aims to attract investments to the state's economy and develop regional industry. "Today, India is one of the main operators of Russian helicopters. It is worth mentioning that the country's authorities are also showing an interest in civilian vehicles. India already operates civilian Mi-172 helicopters… We are interested not only in selling military equipment, but also in setting up long-term relations with our Indian partners and are ready to offer them a number of additional services, including after-sales services," Russian Helicopter Deputy CEO Alexander Shcherbinin was quoted as saying in a company statement. 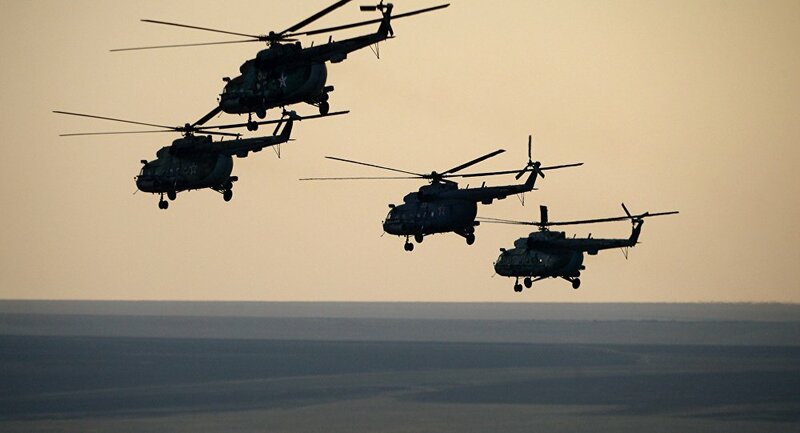 India currently operates some 400 helicopters made in Russia and intends to further boost this number, according to the company. India uses a broad range of Mil Mi-17 and Mi-8 transport helicopter variants. These are used in search and rescue operations, passenger transport and are involved in the protection of forests and fisheries.